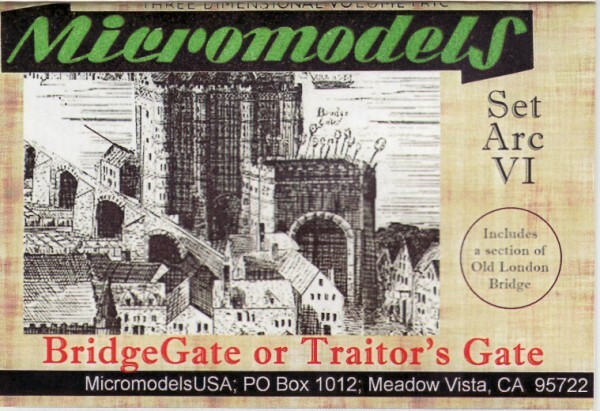 Description Bridgegate was never issued by Micromodels. Technically Heighway did end up creating that model, however it would be the smallest of all the Micromodel gates. Bridgegate was so named because it sat atop Old London Bridge . At one point the bridge and the gate did collapse (as in “London Bridge is Falling down”) and it was rebuilt. 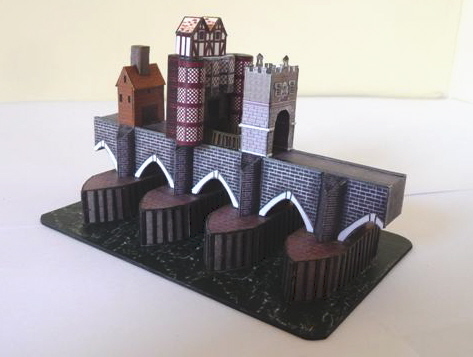 MicromodelsUSA has published a model of Bridgegate based on the sketches from Heighway.